Before wrapping up my tour of Sicily, I would be remiss if I did not share with you our visit to the beautiful Baroque community of Scicli (pronounced Shi-Kli). 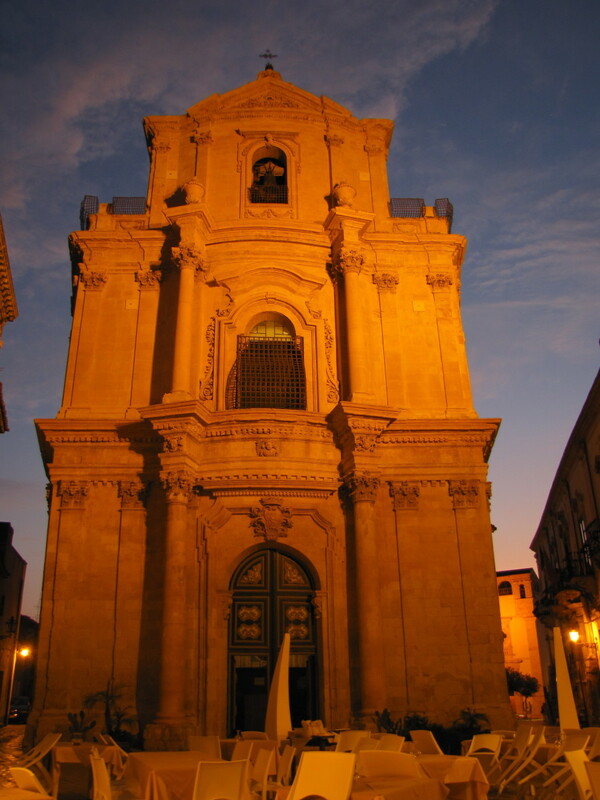 Located in a gorge just a few miles from some of the most beautiful beaches in Sicily, this beautiful town is renowned for its wonderful Baroque architecture and stunning churches. 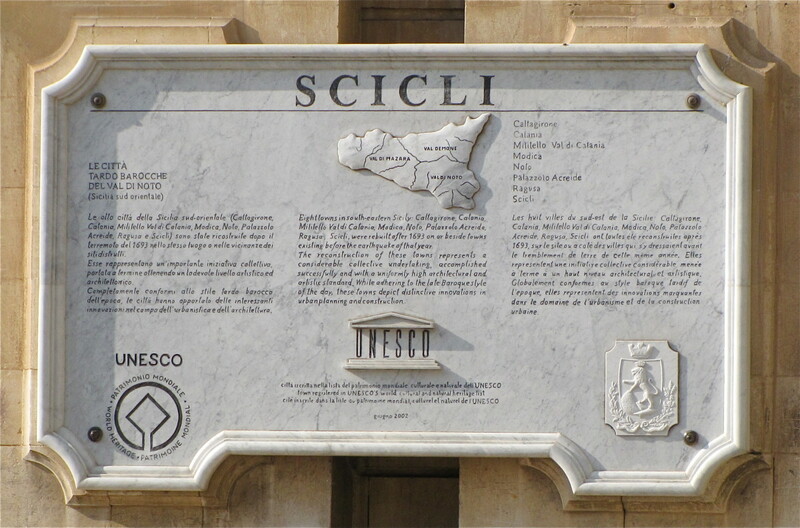 Tracing its origins back to 1500 BC, Scicli certainly has a long and storied history. 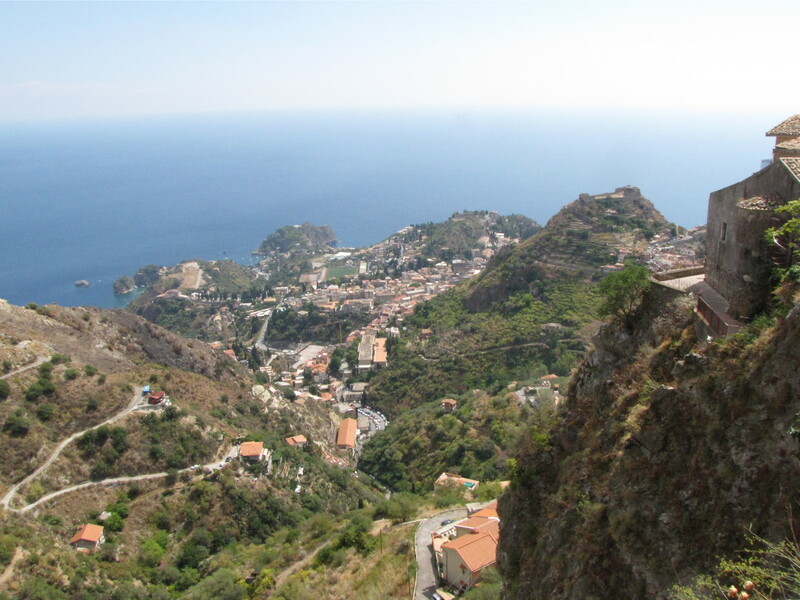 Like much of Sicily, this community has changed hands numerous times over the centuries having been controlled at one time or another by the Greeks, Arabs, and Normans, to name a few, before becoming part of the Kingdom of Italy in 1860. 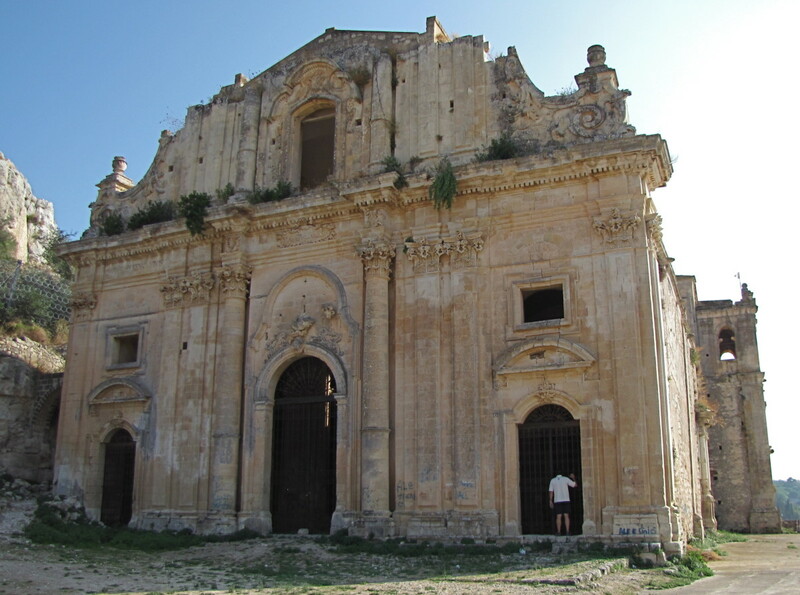 Like many other communities here in the Val di Noto of southeastern Sicily, Scicli was totally destroyed by the devastating earthquake of 1693. Due to the popularity of the Baroque architecture at the time, many of these cities were rebuilt in this Baroque style. What this means for the visitor of today is an opportunity to visit a stunningly beautiful community constructed with the unique and flamboyant flair of a time that has passed us by. You will certainly enjoy your visit to Scicli. What most visitors instinctively want to know when visiting a new region is what is there to see and do? Here in Scicli, wandering the streets and alleys is your reward for deciding to visit. There are a number of churches, palaces, and piazzas worth visiting and you will stumble onto most of them as you walk Scicli’s streets. Of particular interest is the abandoned Church of San Matteo, which is perched high on a hill overlooking the town. While the trek up may seem daunting, it is worth every step as you will be greeted with the most amazing view of Scicli from this unique perspective. Along the way, you will pass by some caves chiseled into the rock, known as the Chiarafura caves. These were dug out of the hills surrounding Scicli and were at one time inhabited. As recently as the 1950s, the poor of the community used these caves for shelter. The church of San Matteo was at one time the mother church of Scicli up until about 1874. A peek inside through its massive front doors reveals a church that looks to be in remarkably good condition despite its years of neglect and abandonment. While you’re up here take a rest and enjoy the scenery out over the town from this bird's-eye view. It truly is a spectacular setting. 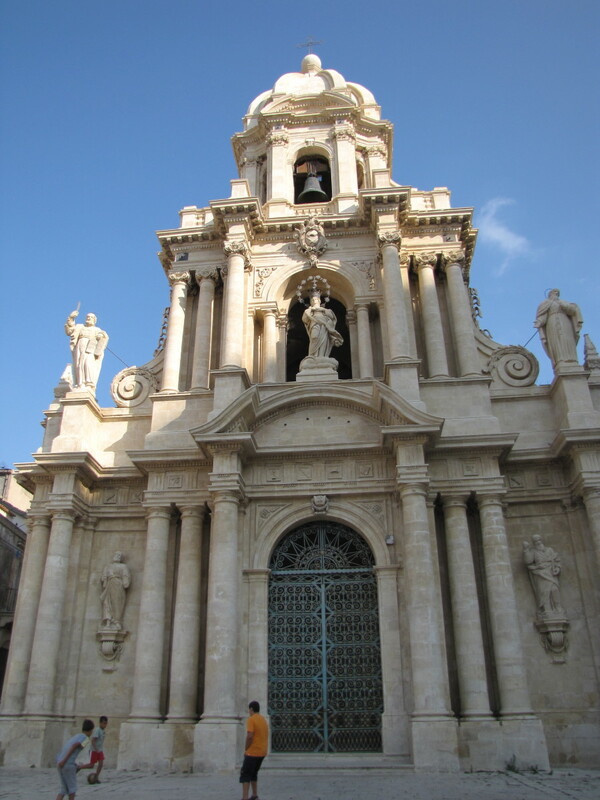 When back down in town, be sure to visit the church of San Bartolomeo. This church dates back to the early 15th century. If you remember the year of the earthquake, you will quickly realize that this church must have survived the catastrophic event, which it did. Its façade was renovated in the late 18th century as the Baroque style was transitioning to neo-classical architecture. Of all of the churches in Scicli, San Bartolomeo has the most ornate interior with a number of notable works of art by Mattia Preti and Francesco Cassarino among others. In addition to a number of churches, there is also the Palazzo Fava, which is the largest palace of Baroque architecture in town. The Palazzo Spadaro town hall, and the Palazzo Beneventano, built in the 17th century, are certainly two of the most beautiful buildings in Scicli. Both are also wonderful examples of the Baroque architecture. 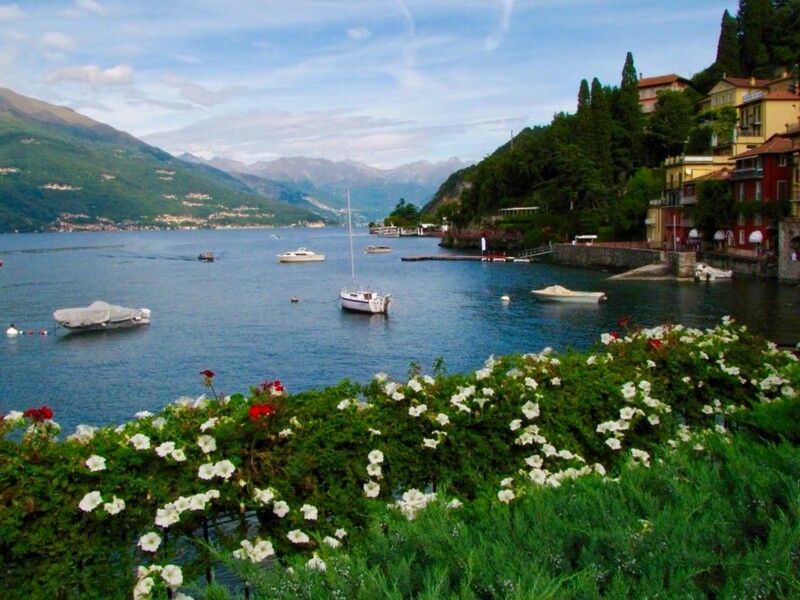 The community also enjoys a number of annual events, which if you happen to time your visit correctly, will just add to the local flavor and culture of Scicli. The month of May brings the annual La Madonna a Cavallo festival, which celebrates the town’s liberation from the hands of the Arabs. Easter is also a joyous time to be in Scicli, as the celebration of Cristo Risorto (Risen Christ) takes place with the statue of Christ being carried through town on the shoulders of its residents. 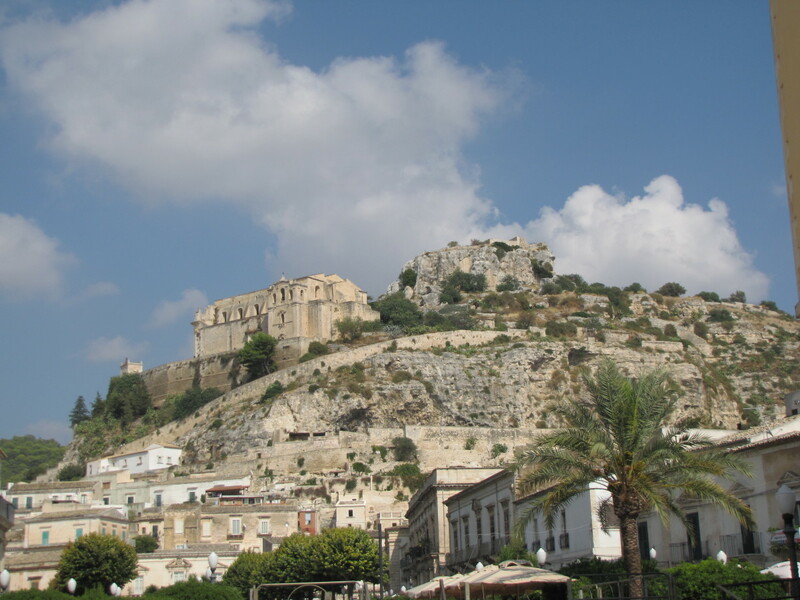 We were so enamored with Scicli that we returned here twice during our visit to south-eastern Sicily. We had dinner one evening in one of the most beautiful settings imaginable as we dined outside at the Ristorante QuoreMatto, located in a small piazza with the church of San Michele the Arcangelo looming over us. It made for the perfect Sicilian setting. 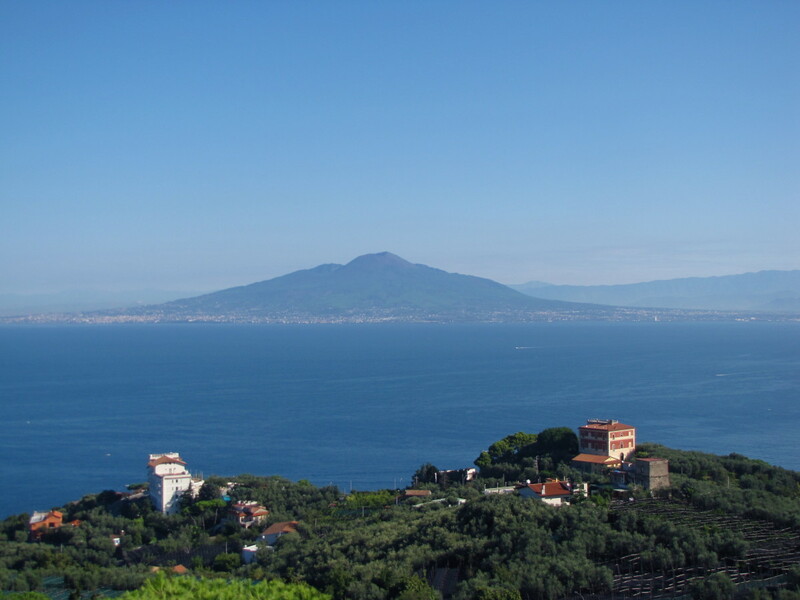 The nearest airport to Scicli is in Catania and there is a daily bus service that connects the airport to Scicli with the AST bus company. The trip takes about two and a half hours. 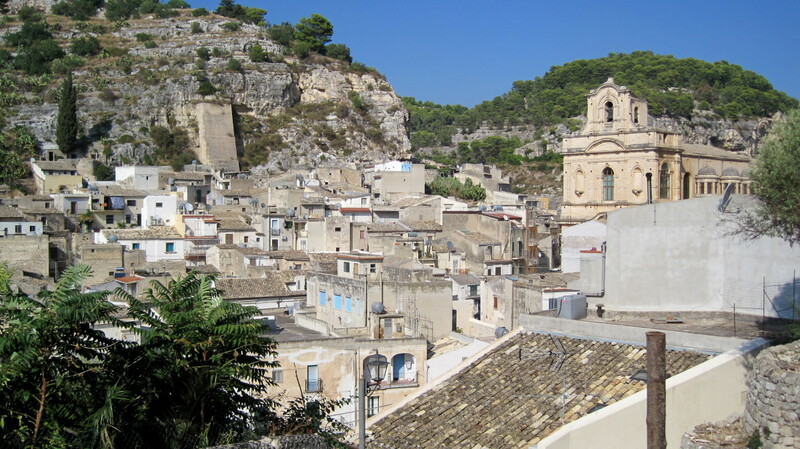 The AST buses connect most of the towns in this region of Sicily and Scicli is only about 10 km from Modica. Scicli can also be reached by train (trenitalia) as it is on the rail line connecting Siracusa and Ragusa. We used a rental car to get around while here, which certainly provides a degree of freedom and flexibility. Beware, however, that once you get off of the autostrada the roads can get very narrow. I recommend using a GPS if you opt to drive. The most direct route from both Catania and Siracusa is to take the A18 autostrada south to Ispica and then follow SS115 toward Scicli. 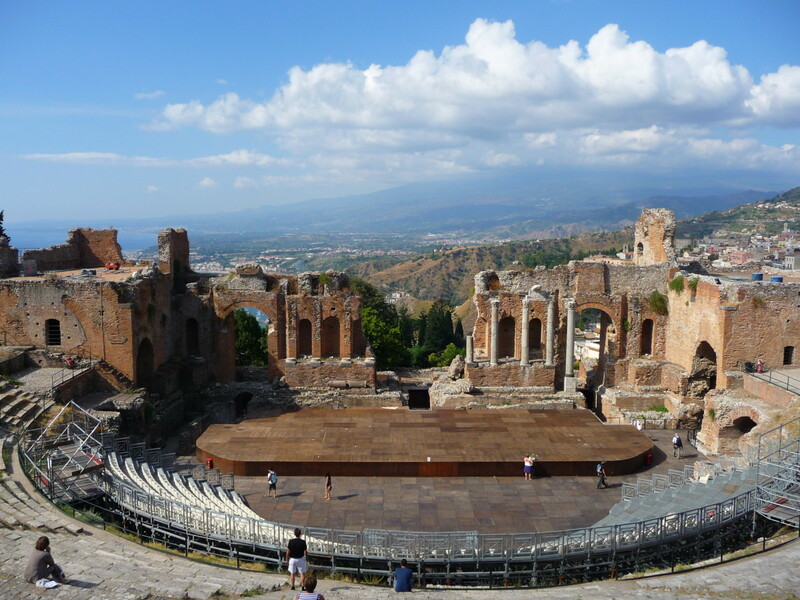 This corner of Sicily has been designated as a UNESCO World Heritage Site since its inscription on June 26, 2002. 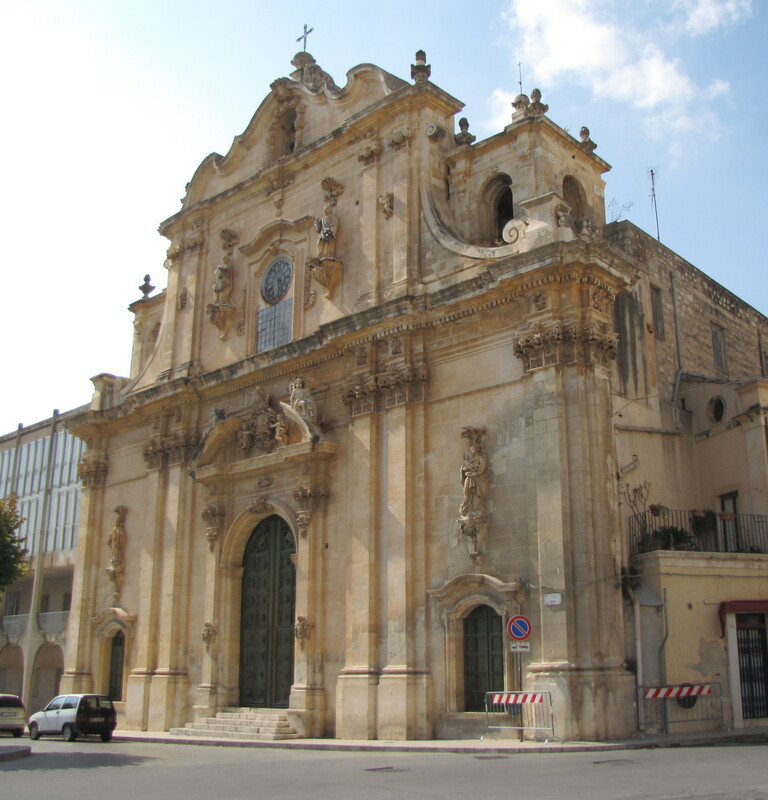 There are eight towns here in south-eastern Sicily that are included under the heading of “Late Baroque Towns of the Val di Noto”. 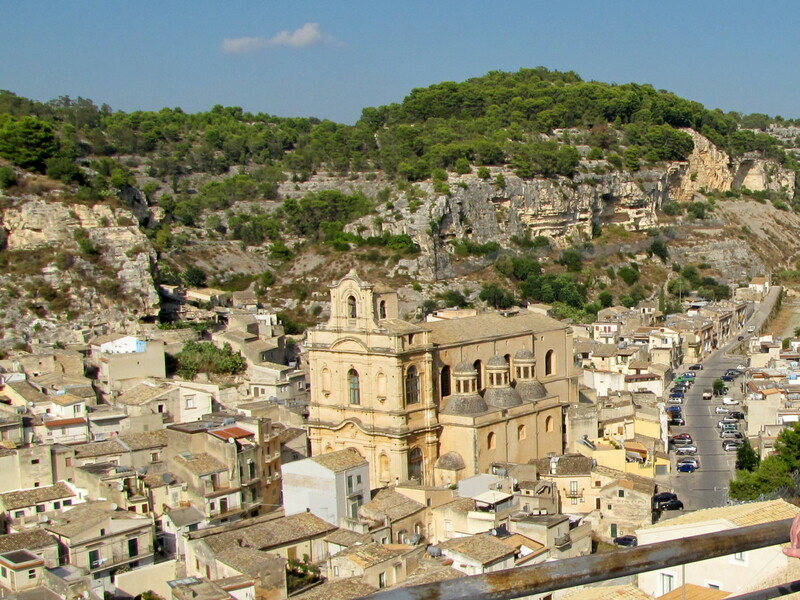 Some of the other towns included with Scicli are Modica, Ragusa and Noto. 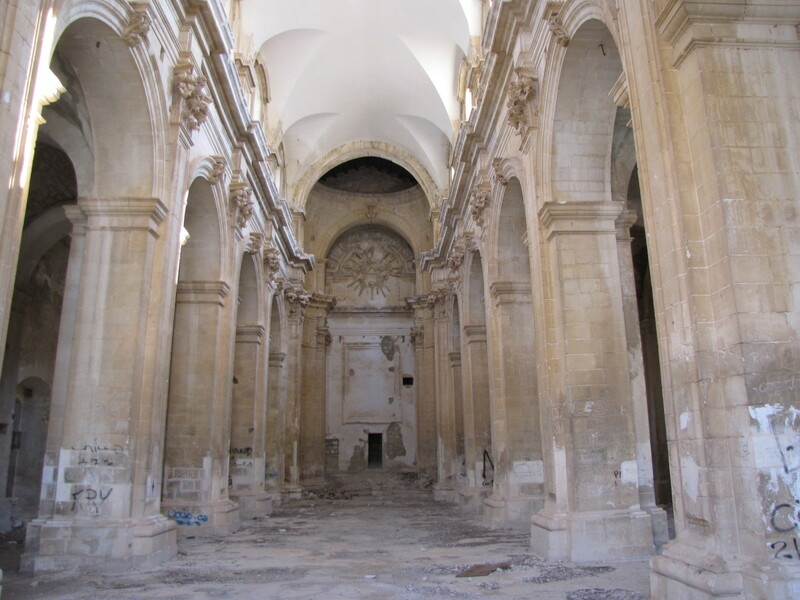 All were devastated by the 1693 earthquake and rebuilt in the late Baroque style. If you are planning a visit to this corner of Sicily I would suggest a visit to as many of these towns as your time allows. They are all unique in their own right yet all are splendid examples of the late Baroque architecture, which has presumably brought you to this corner of the world. If time limits you, I would suggest Noto and Scicli to visit. They are smaller and easier to maneuver around than the larger Ragusa and Modica, and have just as much to offer. In addition, they give you more of a small town feeling and both communities can certainly be seen in a day. 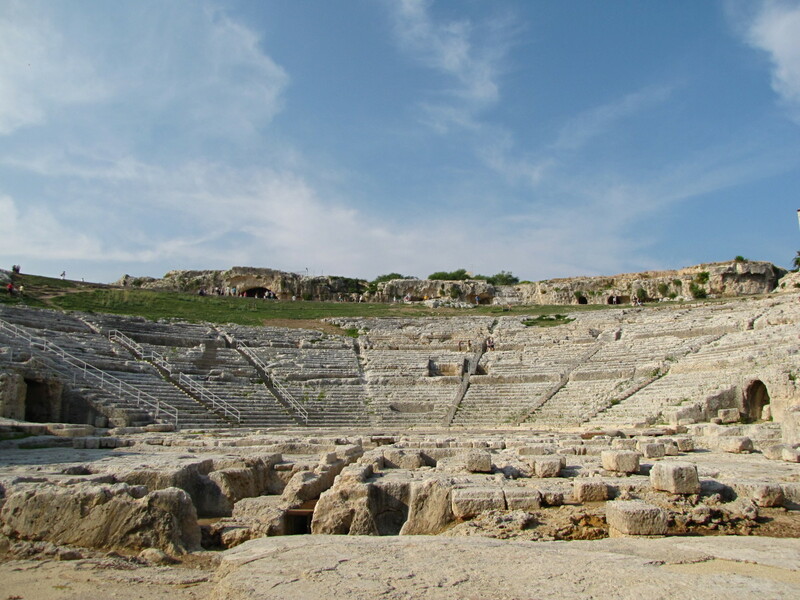 I hope you enjoyed this visit to Scicli and the beautiful Val di Noto. Hi Blackspaniel1. Oh yes, the Greeks settled in Sicily around 750 BC and there is a very noticeable Greek presence there. 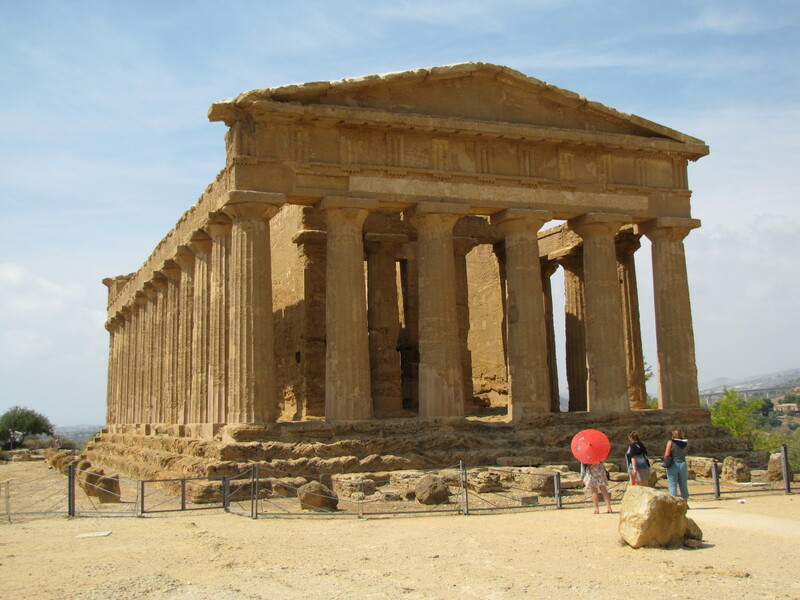 Many of the great temples on Sicily were built by the Greeks. Thanks for visiting, have a great day. Beautiful images. I am assuming the Greek coin meant Sicily was once either a trading partner of Greece or a part of Greece. That is what came up on one Ebay module. Hi Elisha. Thank you. I do feel very blessed to have had the opportunity to visit Sicily. It really is a beautiful place and worthy of a visit. Hopefully you get there someday. Thanks so much for stopping by, have a great day. Hi rajan. It is a rocky, hilly piece of property that they built Scicli on. The town is actually built in a gorge and surrounded by the rocky hills that you see. Very beautiful town and they have done a good job of introducing greenery into the community. Thanks for the share , pin , etc. Have a great day. Your pictures are gorgeous. I really would like to travel there some day. You are very lucky to have had this experience. 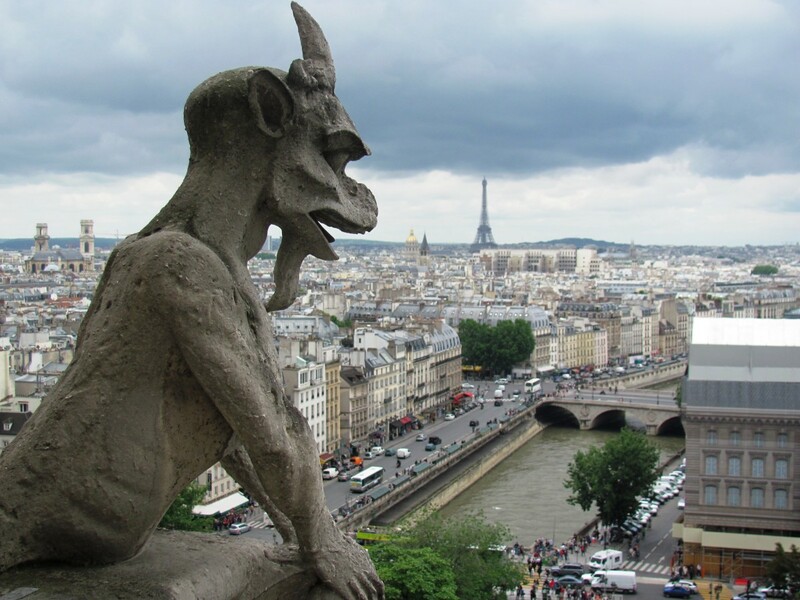 Hi Bill, Scicli is a beautiful place to visit and I love the Baroque style of architecture. Your pictures are stunning and complement your descriptions to a T. The town seems to be built on a hilly tract of land. Good to see greenery intermix with the concrete structures. Voted up and beautiful. Sharing and pinning as well. Hi brownella. Lucky you to be off to Italy this fall. You will love it. And if you like old churches you are going to the right place. Enjoy. Ciao! Hi Sheila. It really is like a whole different world over there. The architecture is something that is just not found over here. Thanks so much for visiting Scicli and the vote, share, etc... Have a great day. Hi ologsinquito. It's not at all commercialized. It really is the authentic deal. The towns that get commercialized are the ones that we've all heard of. These small Baroque towns that most people have never heard of are really authentic and quaint. Thanks so much for the visit, have a great weekend. Thanks Candy. Hope you get there someday soon. It really is a beautiful corner of the world. Have a great day. Hi Peggy. Not many folks here are familiar with Scicli. It's sometimes gets overlooked by Ragusa , Syracusa, and some of the other wonderful towns in Sicily. We liked it because it's smaller and easier to get around. Thanks so much for the pin to your Italy board and for the share, etc.. Have a great weekend. Thanks Glimmer Twin. I appreciate the nice comments and support. Who knows what the future holds, I feel very fortunate to have had the opportunity to make the trips that we've taken so far. Have a wonderful weekend. Hi traderjim. You are correct, we have yet to visit Puglia but we'll get there some day :) I'll stop by to read your hubs on the area, thank you. And thanks for stopping by, have a great day. It does look beautiful and not too commercialized, from what the photos showed. 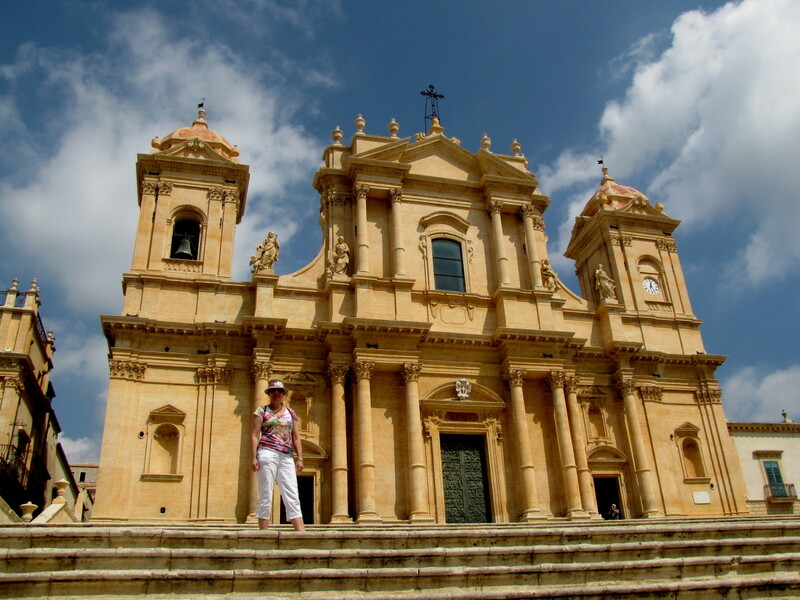 This article has made me want to visit Sicily! Hopefully I can persuade my husband someday. Great pictures too. I am just waiting for your travel book to come out. I don't even know what to say that I have not said before. Your photos are beautiful and you cover all the great spots to visit. Shared around. I think it deserves a stay as well. Hi FlourishAnyway. Thank you. Scicli was one of those gems that make you want to return. Just a beautiful little corner of the world. Thanks so much for the visit, have a great day. Beautiful architecture and some of your photos are truly stunning. No wonder you returned to this beautiful place. Thank you Kathryn. Glad you enjoyed the visit to Scicli and thank you for the very kind comments. I do feel blessed to have had the opportunity to visit Sicily. We are already thinking about our next adventure :) Hope you had a great weekend. Hi Mary. Your comments brought a smile to my face :) Thank you. This whole writing about my travels really has taken a hold of me. Ever time I go somewhere all I can think about is how to write a hub about it. My thanks again for your wonderful support, comments, votes, etc... Hope you are having a great weekend. Thanks Suzie. When you get to Italy I'm sure you'll venture over to Sicily and you'll love it. There is so much to discover and the history and architecture really are amazing. The climb up to San Matteo was worth every step. Thanks again Suzie, your support is always appreciated and never taken for granted. Have a wonderful day. Hi Mike. Thanks for stopping by, it was beautiful. The history in this corner of Scicli is amazing. Glad you enjoyed the tour. Have a great day. Hi Joe. Boy did we struggle some of the names of these towns :) Luckily our host where we stayed schooled us in the proper pronunciation. Sadly I do not speak fluent Italian, I really should learn more. I know just enough to get by and sometimes be dangerous. And yes, Sicily have it's own dialect. One of our friends who traveled with us speaks pretty good Italian and no one in Sicily could understand him? Thanks so much Joe. Hopefully you're having a great weekend also. Thanks Alicia. I very much appreciate the kinds words. In some of these old Sicilian towns the architecture is just something that we do not see here in North America. We really found it fascinating. Many thanks, have a great day. Hi Pam. That is exactly the way to best enjoy these small towns, by wandering their streets. You just never know what's around the next bend. It really is a beautiful and unique corner of Sicily. Thanks so much for the visit. Thanks Matt. 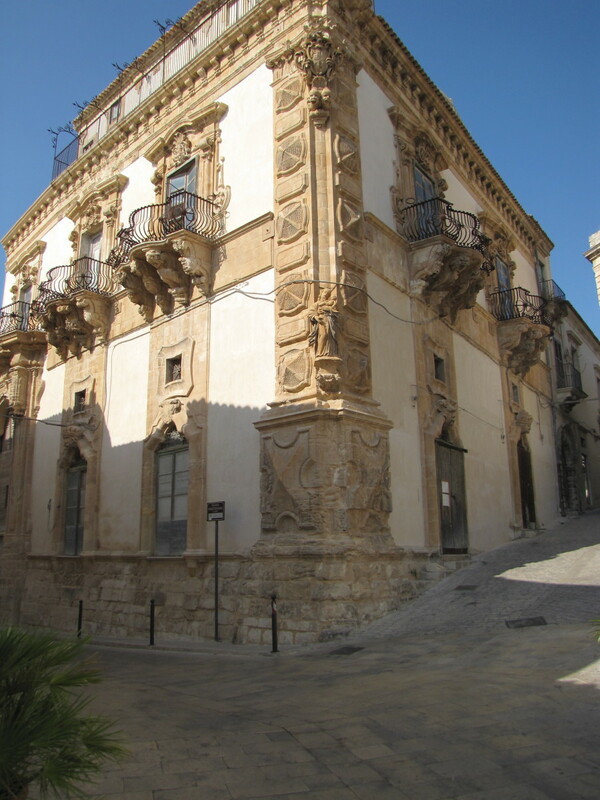 This corner of Sicily is often overlooked yet is beautiful had has a number of wonderful Baroque towns worth visiting. Keep it on your list! Thanks so much for the visit and kind words. This is so beautiful! Thank you for sharing some of the history of this place, as well as the beautiful photos and the list of "places to see". If I ever venture out of the US, I will check your page to see if you have written about wherever I go. You're a great travel writer! I want an amazing button! Amazing for the town of Scicli and amazing for this wonderfully amazing hub. You are the best tour guide with all the information you give us, but I have to say I like your photos the best. You truly capture any place you visit! I'm with Billybuc, time to write a travel guide!!! Many thanks for such a wonderful trip around Scicli and your photos are stunning! Love the view to San Matteo, so typical of hilltop villages in Italy. The baroque architecture is amazing and when you consider the workmanship required it really is to be admired and respected. Thanks Bill for this and all your Sicily articles which have proved to me it is a must for us when in the south! Votes, shares and pinned to Italy! Another great place to visit in Sicily and an incredible photo tour as well. Scicli seems very beautiful, with such a rich history and influenced by so many civilizations in the past. Bill, I'm glad you included the proper pronunciation because I was "all over the map" in my attempts to give the city's name a decent utterance. As with your other Italian tour guide hubs, you've done a remarkable job combining good, solid writing with a feast of lovely photographs. Do you speak fluent Italian, Bill? If you do, does Sicily have a different dialect? Thanks for a stellar hub, my friend! Aloha, and have a great weekend! This is another enjoyable look at Italy, Bill. I love the fact that you show us interesting architecture as well as beautiful views. Thank you once again for sharing your lovely photos and information that is both interesting and useful. I would love to wander the streets of Scilily. What beautiful photos. It looks so beautiful and I love all the ancient history. I really enjoyed this hub. Awesome! Hi srsddn. Thank you. We really enjoyed Scicli and you are right, our trip would have been incomplete without visiting this beautiful site. Glad you enjoyed the tour. Thank you for the vote. Have a great weekend. bdegiulio, Your Sicily venture would really have been incomplete without Scicli (Good that it is pronounced differently). There is so much history to dig out and learn a lot. Thanks for sharing this wonderful experience of yours. Voted up. Have a nice time. Hi Joelle. Dinner that night in front of the church of San Michele was really something special. Thanks so much for the visit and kind comments. Have a great weekend. What a fantastic place to visit! I can feel the warmth! I can see my husband and I having dinner near the Church of San Michele the Arcangelo and listen to some Italian music! Thanks for making me dream. Your pictures are fantastic! And yet another chapter of your future guidebook has been written. Well done as always. How does it feel to know you have already written books about travel even if they haven't been published yet? Very cool indeed.